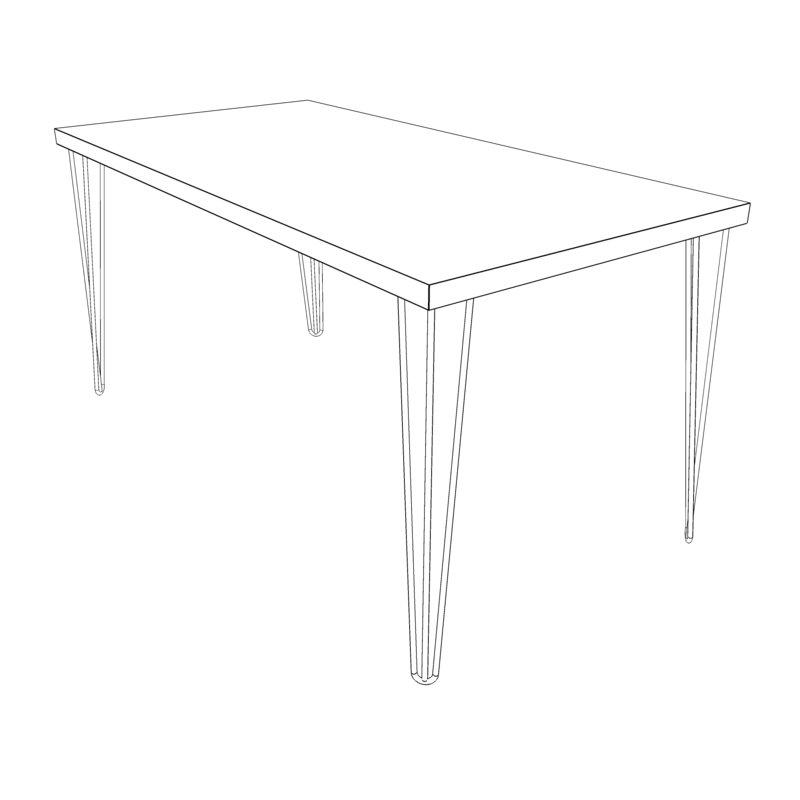 Please allow us 8-12 weeks to build this table for you. Our Hairpin Leg Wooden Desk is perfect for your modern or rustic office setup. It's minimal and simple. Set on 3-rod hairpin legs, this modern desk/table has a richly-grained top made of Alder wood. The wood’s distinctive grain differs from table to table, with natural nicks and knots that add to its character. The desk is made entirely out of sustainably sourced alder hardwood from the Pacific Northwest and solid steel hairpin legs.